Ian Brown directs Helen Schlesinger, Mark Rose, and Sally Grey in a rare British performance of Frozen, which runs from 18th March to 11th April 2015 at Park Theatre, London. Alongside Frozen at the theatre will be a free exhibition entitled Angels Fighting Devils which explores some of the issues raised in Lavery’s play such as protection, fear and violence. The cast of Frozen includes Helen Schlesinger (Agnetha), Mark Rose (Ralph), Sally Grey (Nancy) and Liam Timms (Guard). 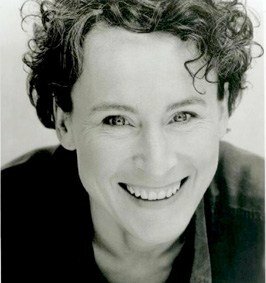 For theatre, Helen’s recent work includes Coriolanus (Donmar Warehouse), Bracken Moor (Tricycle Theatre), Fireface (Young Vic), Skåne (Hampstead Theatre), Blue/Orange (Arcola Theatre), The Gods Weep, The Crucible (RSC) and Whipping It Up (Bush Theatre and Ambassadors Theatre). For television, her credits include Merlin, The Hour, Nativity, Criminal Justice, Trial and Retribution and Sensitive Skin; and for film, Dirty War and 24 Hour Party People. Helen recently took time out to chat about her career and Frozen. How do you balance time with your family and being an actress? Well I guess you just do. Good childcare. It is not easy for most women who want to work. The nice thing about it is that I have periods when I am in work and periods when I can stay at home, and not everyone can have that, so in that respect I am quite lucky. You have performed in many (more than 60) productions on stage, television and film. What do you enjoy most out of each of them? The majority of my work is in theatre. I really like working in a group, working with other people. Imaginative work is fun. As an actress – how do you move on from one role to the next? Do you have a process that you go through? By the time you leave a play, you have been performing it for quite a long time so there is a sort of process of leaving it. You know that you will be stopping doing the play and when you get to the end of the run you have had enough and it is time to move on. It is probably the same as finishing any job. It’s like cooking, when it’s done it’s done. Would you like to play any roles again? I probably would, yes. I played the part of Clytemnestra, before I was a mother, and she killed her husband because he killed her daughter. I think it would be good to play certain roles when you are older and more experienced. So definitely to revisit parts. Could you tell us about one particular role that you really enjoyed? I played Maggie in Mill On The Floss years ago with the Shared Experience Company and it was one of those occasions when all of the elements came together. It was really good, although the part of Maggie was divided between three women and I was one of them. That part was very enjoyable to play. Are there any particular roles that you would love the chance to play? I would really like to play Paulina in The Witch’s Tale. You are performing in Frozen by Bryony Lavery at the Park Theatre. You are a very busy actress. What attracted you to this particular production? I read it and thought it was a really beautifully written play. It’s a very affecting play. Frozen has a cast of four. What can you tell us about rehearsals? It is such a small group that we take it turns because there are quite a lot of monologues. It is quite interesting in a way working on our own quite a lot and also working closely with the director which I have really enjoyed. The closest relationship I have is with the serial killer! Working in a small group you are much more conscious of what you are doing or not doing. You play the role of Agnetha, what can you tell us about her and how she fits into the storyline? She is an American psychiatrist and she works with serial killers. She is investigating the effect of early childhood trauma on their behaviour. Her research shows that for example when a child is ‘knocked on the head’ in their infancy that will have an effect on their brain and change their behaviour. Her work has been in America with serial killers who are waiting for the death penalty, so the serial killers there will be waiting to be executed. Her role in terms of the play is about finding out if a serial killer can feel remorse. Is it possible to forgive terrible acts? I suppose she comes down on the side of compassion, of trying to understand why terrible people do the terrible things that they do. She is juxtaposed against the killer himself and also a mother of one of his victims. Can we understand why these people are like the way they are and who they are. It’s about remorse. It’s a very poetic play. The woman is frozen in grief. What will happen to her? Will she be able to survive? The man is incarcerated in a sort of frozen state and what will happen to him. The psychiatrists have their own private grief which is only hinted at which you find out quite late on in the play. So it is about ‘will these people thaw’ in a way. Frozen plays for a short run to 11th April 2015 – what does the rest of 2015 have lined up for you? Honestly, I don’t know what is next. Nothing specially lined up. There is a lot of theatre to see in and around London at the moment – why should everyone get along to see Frozen? It is an exceptional play. It is a surprising play in many ways and not quite what you might be expecting. It is also very involving, moving, enthralling and unpredictable. You would never regret seeing this play. It is also in a really intimate space which audiences like. To be close to the action. On April 17th 1980 my daughter, Rhona, walked out of my house to go to her Grandma’s. She never got there. She never came back. She was 10. For years after her disappearance, Nancy keeps hope alive by imagining her daughter growing up. Then a man is arrested and Rhona’s remains are found. Award-winning dramatist Bryony Lavery has laid bare the horror of a child taken before their time. She places three characters – a mother, a child killer and a psychiatrist – under the microscope and rewards us with a sense of understanding and release.